Although overseen by the Small Business Administration, the SBIR and STTR Programs are affiliated with government agencies involving research and development with an extramural budget of $100 Million dollars or more. SBIR and STTR Programs now have 2.2 billion dollars set aside annually to support the financing of cutting-edge technologies developed by small businesses. For the U.S. government to recognize the necessity of federal engagement in research and development of high risk technology development and to coordinate such a network would not have been possible without the support of key framers, politicians, and legislators. The father of the SBIR Program, Roland Tibbetts (pictured on the right), experienced for himself how government programs can affect individuals when President Roosevelt signed the GI Bill into law in 1944. Previously a distinguished first lieutenant in the US Army Air Corp. during World War II, Tibbetts was able to complete his undergraduate degree at Boston University and then his MBA at Harvard due to benefits from the GI Bill. After garnering close to 20 years of corporate experience, including serving as the VP of two small, high-tech firms, Tibbetts was appointed as the Senior Program Officer at NSF in 1972. As an NSF program manager, Tibbetts was known as a task master with well-honed instincts for enabling potentially game-changing projects. He also recognized the importance of small, high-tech firms to the economy and observed the fierce opposition they faced from other recipients when pursuing federal R&D funding. Senator Edward Kennedy (pictured on the left) also recognized the vital role that small businesses play in America’s growing economy. 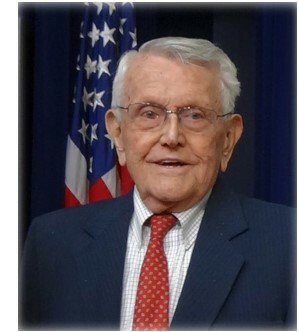 He spent much of the 1970’s tirelessly championing for NSF to support the research of qualified small businesses as the chairman of the National Science Foundation Subcommittee of the Senate Labor and Public Welfare Committee. Kennedy continued to introduce different proposals to increase the percentage of the budget directed toward small businesses. Finally, once NSF recognized the need for ongoing support for small business, the foundation instituted the SBIR Program in 1977. 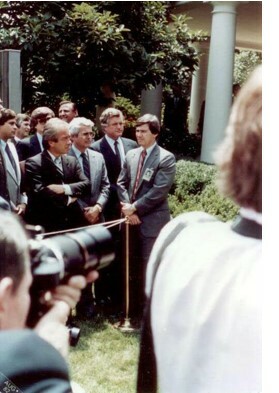 Due to the success of the NSF SBIR program, in 1979 the Small Business Administration concluded SBIR Programs should be instilled at all government agencies involving research in order to encourage innovation and technology in the United States. Senator Kennedy, an avid supporter of small businesses, spearheaded legislation to institute a government-wide SBIR Program. He and other legislators, including Judith and Arthur Obermayer, called for every agency with a budget in excess of $100 million to establish a program modeled after Tibbetts’ NSF SBIR Program. 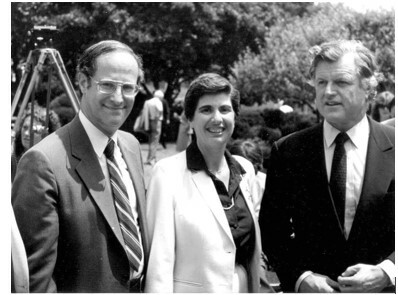 The Obermayers convinced a majority of delegates at the 1980 White House Conference on Small Business to support SBIR. 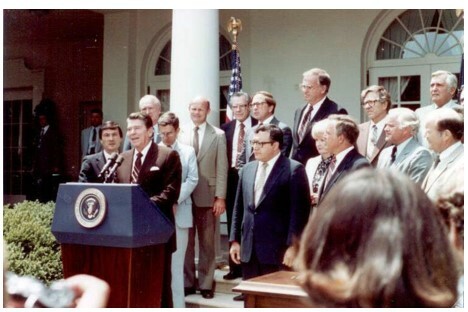 After overcoming resistance from the academic community, President Reagan signed a government-wide SBIR Program into law in 1982 (pictured below). To date, the Program has resulted in 70,000 issued patents, close to 700 public companies, and approximately $41 billion in venture capital investments.